In ancient times householders, who had completed their family responsibilities and wee growing old, retired from worldly activities to meditate in the forest. Great Brahmacharin-s, religious, celibates, inspired by the desire to help the world and attain spiritual realization, also used to dwell in the forest retreats. Side by side with spiritual progress, they sustained the highest cultural heritage of the race by imparting general education to boys, with an attitude of spirituality. Not only ordinary people but also kings and emperors had absolute confidence that the teachers to whom their boys were sent for education were well-versed in secular as well as spiritual sciences. They were supremely dispassionate, self-controlled, masters of the senses, the very embodiment of ethical life, self-realised, compassionate towards al beings, endowed with intuition and subtle vision, well-versed in the science of Pancha-Kosha-s (the five sheaths) of the individual and the knowledge of the universal Yoga established in Brahman (the Absolute), and devoted to the vow of Brahmacharya (complete celibacy). They were fully competent to impart the secrets of Dahar Vidya, the science of soul, to humble and qualified aspirants. According to the saying 'Vidya dadati Vinayam' (Knowledge endows one with humility), those great souls, having attained a superhuman state of consciousness, were free from pride, devoid of self-praise, humble and simple. 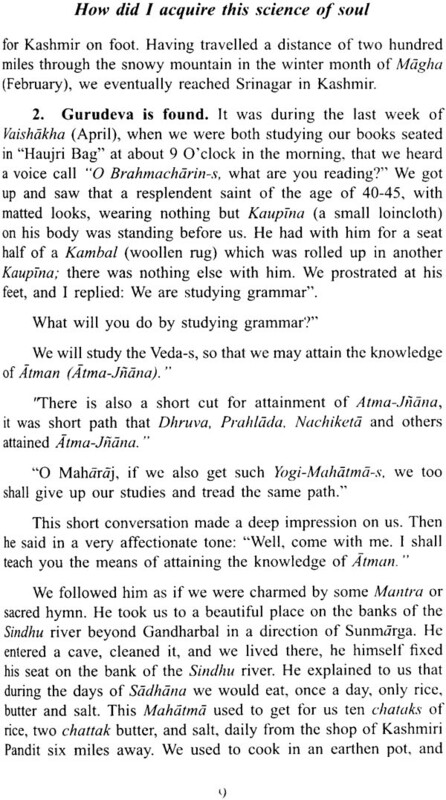 Having approached such Mahatma-s and having become their students, not only the boys of the Aryan race but also all others, young and old, poor or wealthy persons of both sexes, kings and emperors, all approached them as aspirants, and having quenched the thirst of spiritual aspiration used to attain supreme sartisfaction. The national ideals of those times were of a very high standard. That is why the boys of householders endowed with good Samskara-s (impressions) were the embodiment of truth  boys like Satyakama and Nachiketa. They did not desire anything except the science of Brahman (the Absolute). Even learned scholars craved to attain the sublimity of their lives. Today, aspirants should emulate their glorious example and develop humility, devotion to Guru (preceptor), truthfulness, virtue, self-effort, right conduct, self-control, endurance and contentment. 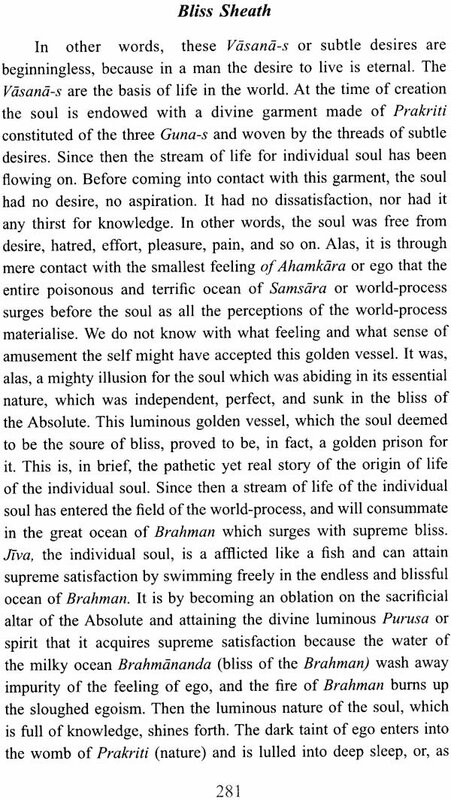 Because one who is full of vices, who is addicted to evil habits and harsh words, cannot be qualified for such sublime science as this Atma Vijnana (the Science of Soul). Those ancient Acharya-s or teachers received students who were humble, pure, sweet-tongued and gentle. They used to initiate them and with the commencement of study of the Veda-s they imparted to them knowledge of secular as well as spiritual sciences. Along with their general studies, students had to perform Anushthana - a religious discipline of repetition of sacred syllables like 'Om' or the Gayatri Mantra. Observance of the vow of Brahmacharya was compulsory for all. Even very old people used to come for spiritual instruction, and they too had to observe Brahmacharya and live as an inmate of the hut with the Guru under his guidance. The teacher used to instruct them in the practice of the eight limbs of Yoga - Yama, Niyama, Asana, Pranayama, Pratyahara, Dharana, Dhyana and Samadhi (moral restraints and observance, physical postures, breath-control, abstaction, concentration, meditation and illumination). Day by day, training developed in an atmosphere of Japa (repetition of sacred names or hymns), austerity and study of scriptures. The practice of Asanas (physical postures) and Pranayama (breath-control) developed Sharira Shuddhi or purification of the body, while practice of concentration and meditation developed Antahkarana Shuddhi or purity of heart. Of heart. 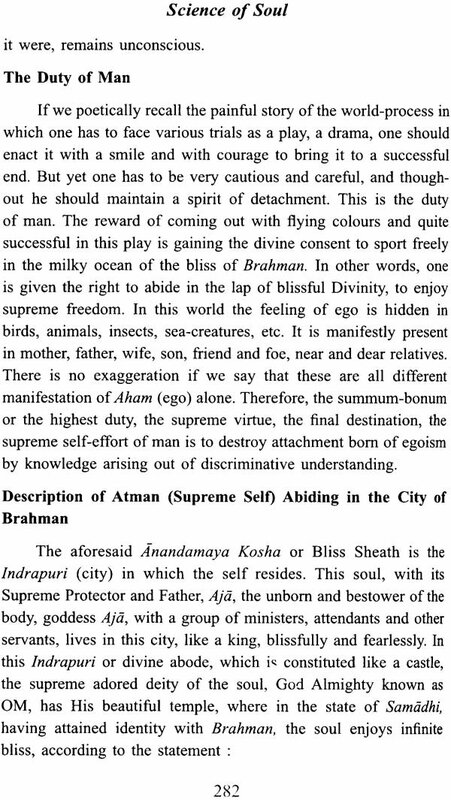 In the Upanisada-s this tradition of receiving Brahma Vidya by approaching a Guru is clearly described. The student has to live with Guru performing Tapa-s (austerities and penance) in the form of service of the Guru, thereby purifying his heart, and has to learn from hi,. Disciples derived immense pleasure from serving the Guru with body, mind and wealth, by bringing alms, fuel for the fire, and by tending the cows. Thus the heart of the aspirant rendered pure and soft and having pleased his teacher through service, he was eventually qualified to receive the subtle knowledge of Brahman. Just as a cow provides milk for her calf, Guru showers the knowledge of Brahman, science of Self-realisation, which is attainable by Samadhi, on the hearts of these humble students. Those ancient Acharya-s or teachers received students who were humble, pure, sweet-tongued and gentle. They used to initiate them and with the commencement of study of the Veda-s they imparted to them knowledge of secular as well as spiritual sciences. Along with their general studies, students had to perform Anushthana - a religious discipline of repetition of sacred syllables like 'Om' or the Gayatri Mantra. 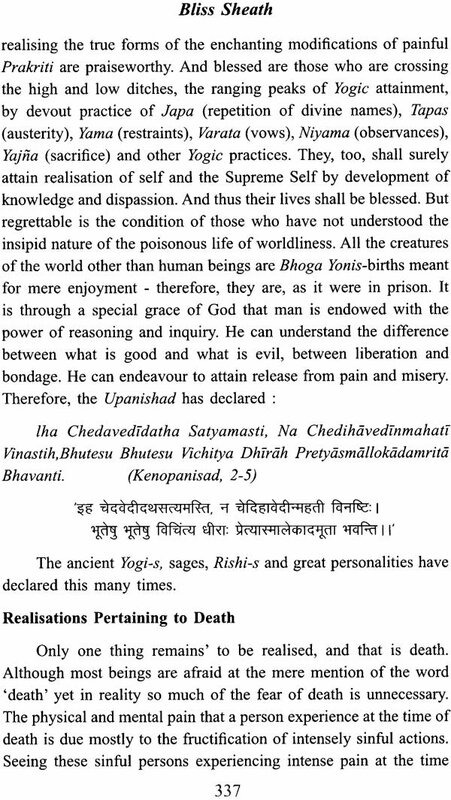 Observance of the vow of Brahmacharya was compulsory for all. Even very old people used to come for spiritual instruction, and they too had to observe Brahmacharya and live as an inmate of the hut with the Guru under his guidance. The teacher used to instruct them in the practice of the eight limbs of Yoga - Yama, Niyama, Asana, Pranayama, Pratyahara, Dharana, Dhyana and Samadhi (moral restraints and observances, physical postures, breath-control, abstaction, concentration, meditation and illumination), day by day, training developed in an atmosphere of Japa (repetition of sacred names or hymns), austerity and study of scriptures. 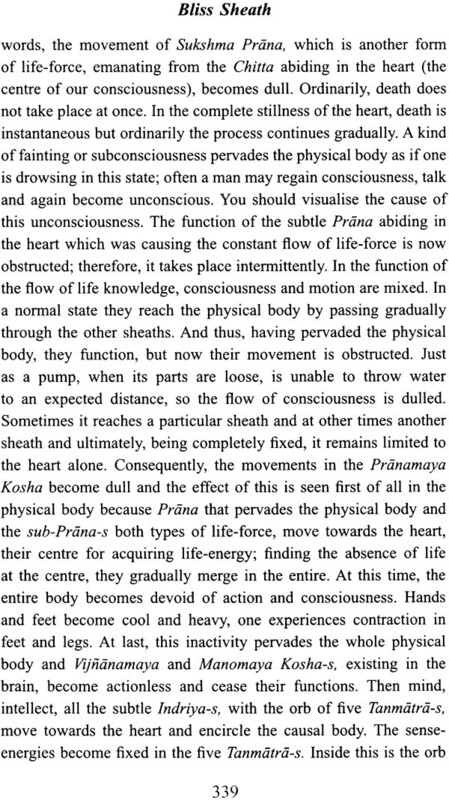 The practice of Asanas (physical postures) and Pranayama (breath-control) developed Sharira Shuddhi or purification of the body, while practice of concentration and meditation developed Antahkarana Shuddhi or purity of heart. In the Upanisada-s this tradition of receiving Brahma Vidya by approaching a Guru is clearly described. The student has to live with Guru performing Tapa-s (austerities and penance) in the form of service of the Guru, thereby purifying his heart, and has to learn from him. Disciples derived immense pleasure from serving the Guru with body, mind and wealth, by bringing alms, fuel for the fire, and by tending the cows. Thus the heart of the aspirant rendered pure and soft and having pleased his teacher through service, he was eventually qualified to received the subtle knowledge of Brahman. Just as a cow provides milk for her calf, Guru showers the knowledge of Brahman, science of Self-realisation, which is attainable by Samadhi, on the hearts of these humble students. O Lord, will those golden days come back to India even now? Yes, those days will come again when the good Karma-s (actions) of men bear fruit and Thy Grace is showered with motherly compassion. Modern India shall again rise in the firmament of the world as a radiant sun illuminating it with the light of wisdom. We should have faith in this. Even now there are aspirants who are qualified to receive divine grace  those who have practiced Yama and Niyama (the moral restraints and observances), who have attained dispassion towards the sense-pleasures of the householder's life through study of scriptures and holy association, in whom the fire of spiritual enquiry has been kindled so that they transcend the duties of the world, who are practicing whole time Sadhana (spiritual discipline) of Asana, Pranayama, Pratyahara, and are developing serenity, self-control, endurance, renunciation of desires, faith and other divine qualities, who are desirous of dedicating the remaining period of their lives in devotion to the spiritual path  such men and women, having lived under the guidance of Guru and having received Guru's grace and divine compassion shall attain the light of the knowledge of Atman (Soul) and enjoy the supreme bliss of the Lord. 1. Pratyahara Sadhana (Practice of withdrawal of sense). In this Sadhana the senses are withdrawn from the sense, objects of the outside world and the Sankalpa-s and Vikalpa-s (thoughts and imagination of the mind) are checked. One learns by constant endeavour to keep the mind free from all thoughts of objects and to maintain the one-pointedness, of mind. 2. Dharana Sadhana. Dharana or concentration is perfected by centring the mind either on one of the internal centers of the body or on an external object. This is a preliminary step as a help towards the practice of meditation. 3. Dhyana Sadhana. 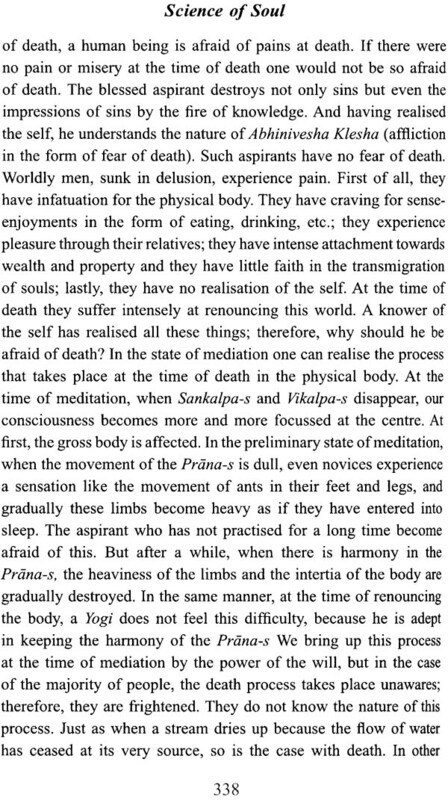 By the practice of meditation the aspirant enters into the gross part of the body (Annamaya Kosha or Food Sheath). Meditation on the gross form of an object constitutes one degree of identification-Savitarka Samadhi (Superconsciousness on the reasoning plane). 4. Awakening of Kundalini. 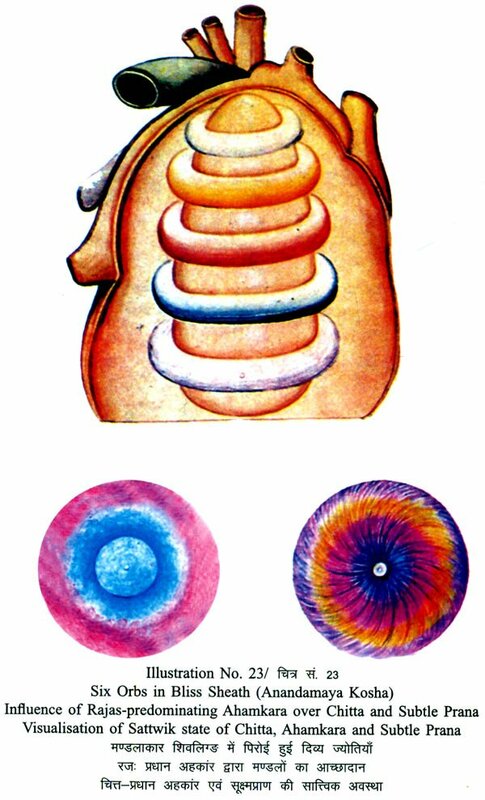 The latent divine force in the body, and the piercing of the six chakra-s (plexus centres) of the Sushumna (subtle channel of the spinal cord). By the practice of Savitarka Samadhi one refines internal realisation. 5. 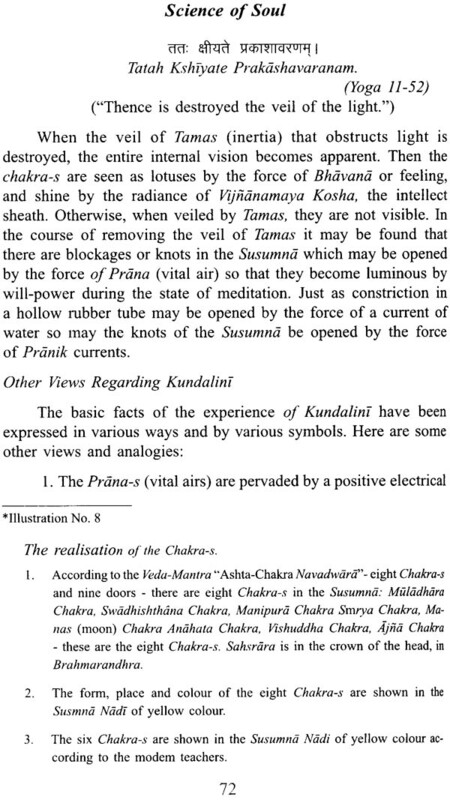 Pranamaya Kosha Vijnana (Knowledge of the Vital Air Sheath). By the practice of Savitarka Samadhi the aspirant distinguishes between the two sheaths-Annamaya (Food Sheath) and Pranamaya (Vital Air Sheath). He has to realize directly all the knowledge pertaining to the Prana-s or vital airs. 1. Brahmarandhra Pravesh (entry into the Great Hole in the crown of the head). In Samprajnata Samadhi (Samadhi with consciousness), by the effort of meditation, the Yogi enters into Brahmarandhra and realizes Manomaya Kosha (Mind Sheath), Vijnanamaya Kosha (Intellect Sheath) and their mutual relationship. Then the next stage of Brahmarandhra Pravesh follows. 2. In the Manomaya Kosha or Mind Sheath. By Samprajnata Samadhi the Yogi has to realize mind, the functions of the senses and the organs of action and the function of mind (its action of give and take) co-joined with the senses. 4. 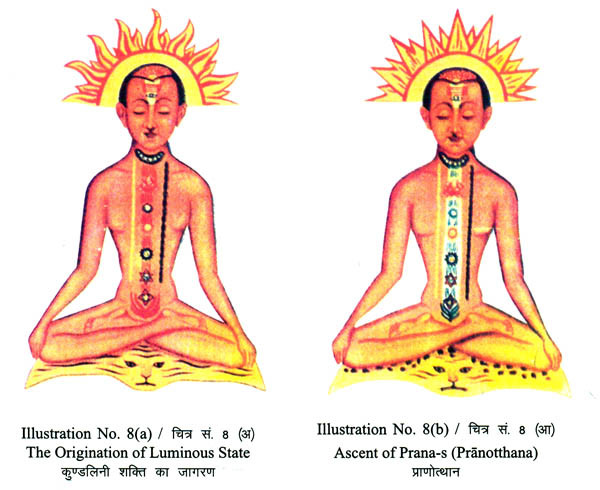 Attainment of the knowledge of the Sukshma Sharira (Astral Body). 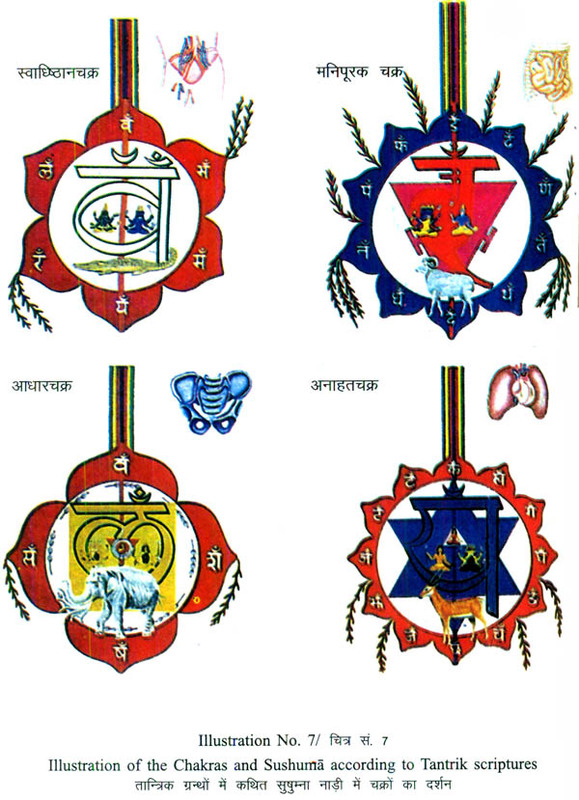 The astral body is composed of mind sheath, intellect sheath and the spheres of five Tanmatra-s or subtle elements, and which resides in the Brahmarandhra or the great hole in the crown of the head. An aspirant learns to realize the knowledge of the astral body and its functions, how it can be controlled, and the attainments the student can gain through this body. 5. 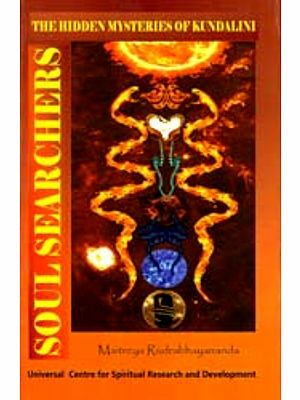 Direct realisation of the gross worlds and the higher worlds, how this science is attained, how one visualizes the higher worlds through the astral body. 1. 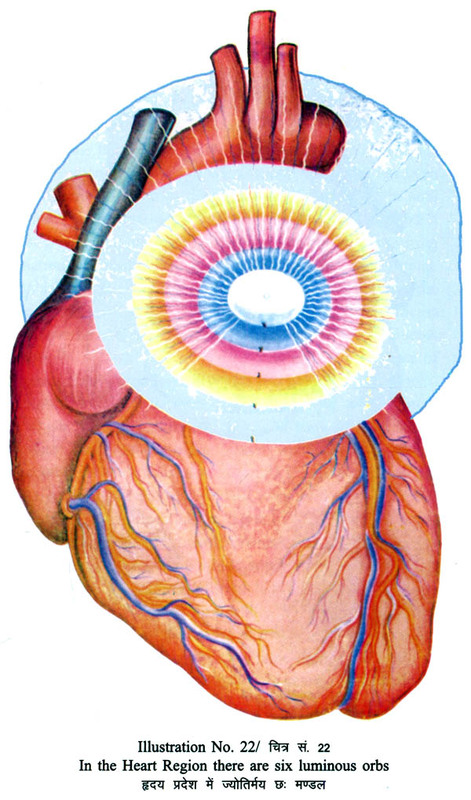 Entry into the heart. Through Savichara and Nirvichara Samadhi one attains realisation of the causal body, Anandamaya Kosha (Bliss Sheath in the heart) together with its six constituent elements: subtle Prana, Ego, Chitta, Jiva (individual soul), Prakriti (matter), Brahman (the Absolute). 2. The knowledge of the mutual relationship of the six factor of the causal sheath. Individual soul and Brahman are realised through the causal body, therefore they are considered as factors of the causal body. But they are not related to the causal body in the same way as the limbs to the physical body. While the other four are related as the limbs to the body, the relationship of the causal body and Jiva and Brahman is like that of a container and the contained Adhara-Adheya Sambandha. 3. By the practice of Asamprajnata Samadhi (illumination without individual consciousness) the Samskara-s (mind impressions) are dissolved or made inactive. 4. Attainment of Para Vairagya or supreme dispassion, that is, detachment from the three Guna-s (qualities of matter)  Sattwa Rajas and Tamas (purity, passion and inertia). Until all these three are transcended the Soul is bound to enjoy worldly experiences. 5. Establishment in the Swarupa or essential nature, by attainment of Brahma-Sthiti (firm repose in Brahma). The above course is for the best type of aspirants. A medium class aspirant attains the knowledge of one sheath in one year, thus in five years he completes the course. For other aspirants no period is fixed. First and the most important in the series of books on ancient higher yoga by one of the greatest yogis of the 20th century. Swami Yogeshwaranand Saraswati. The unique feature and importance of his works lies in the fact that these are not based merely on a thorough study and complete understanding of the ancient scriptures but more on the knowledge gained directly during his long samadhis which culminated in his realization of soul and God. Even at the age of 99 he kept on imparting in his ashrams, the invaluable knowledge gained by him to keen aspirant of all faiths from many countries. Yoga is for all religions. 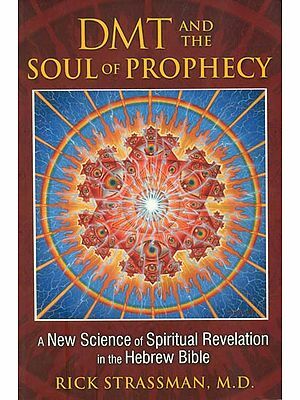 The ultimate aim of all religions of the world is the realization of soul and God. 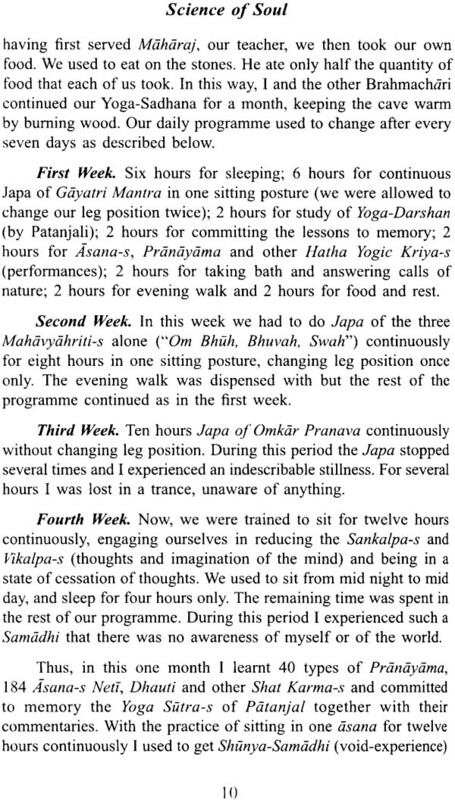 A study of the boks written by Swami Yogeshwaranand Saraswati on the subject of higher yoga at once strikes the aspirant about the practical way explained in detail which he cn follow to achieve his life's goal. For those who refuse to accept anything in life, without a scientific proof, a study of Swamiji's books on the realization of soul and God may well prove to be what they need, becuase of the scientific and logical manner in which the subject has been dealt with. 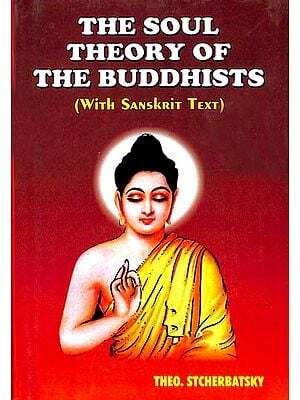 In this book the author has described all the steps which have to be taken by the aspirant, one by one, to achieve the final goal of self realization. By relating his own experience and taking the aspirant, step by step, through every stage he has made the world's most difficult subject appear quite easy to grasp and practise. The various stages described and what the aaspirant will experience in his search include. Yogic Asanas, Pranayama (Breath control), Pratyahara (withdrawal of senses), Dharana (concentration), Dhayana (Meditation), Samadhi (Super-consiousness), Awakening of Kundalini (latent divine force in the body) realization through physical, subtle body, causual body, the realization of five sheaths (food, Prana, mind, intellect and blish) and ultimately the soul. A treatise on higher yoga and invaluable manual for the advanced aspirants and those engaged in research and study of higher yoga. Swamiji has placed this subtlest of subtle sciences for above any other branch of science. Some day, when the top scientists of the world pay this science the attention it deserves, his books will give all the basic material for their research and cause a stire in the world of science. Shri Yogeshwaranand Parmahans formerly known as Brahmachari Vyas Devji, left his home of a tender age of fourteen in search of knowledge and self-realisation. The young Brahmachari spent the early years of his life in the study of sanskrit and mastering. the scriptural lore. He, then, followed the path of ancient rishis of the Himalayas and practised the most difficult tapasya and Yogic Sadhana while continuing the search of real guru who could lead him to the final goal. 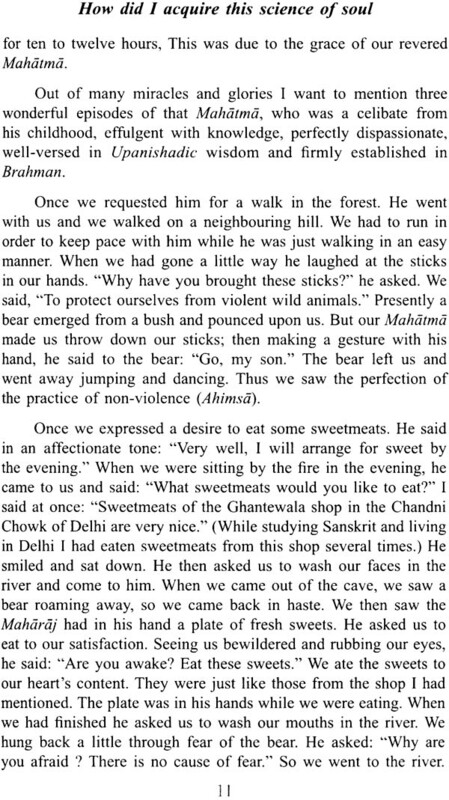 He came across a number ascetics about whom one reads only in the scriptures but his search came to an end only when he met Avadoot Swami Almanandji, who had then returned from Tibet. By constant and dedicated practice of meditation he experienced various types f Samadhis, some of them lasting for several weeks which culminated in his gaining knowledge of self-realization, origin and dissolution of cosmos and the goal of human existence. 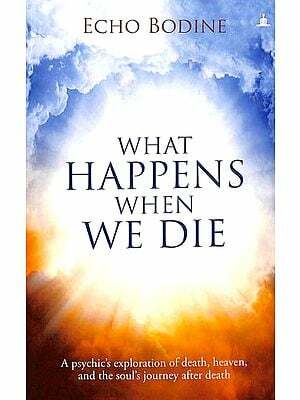 The esoteric knowledge which used to pass from guru to disciple through personal relationship and which sometimes required not only a whole lifetime but several lives, has now been set down, at the behest of his guru, in his books. He joined the Brahma on April 23, 1985 at the age of ninty-nine.